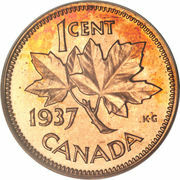 A maple leaf twig is surrounded with the face value and the inscription "CANADA". 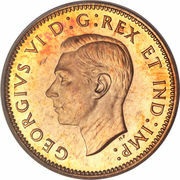 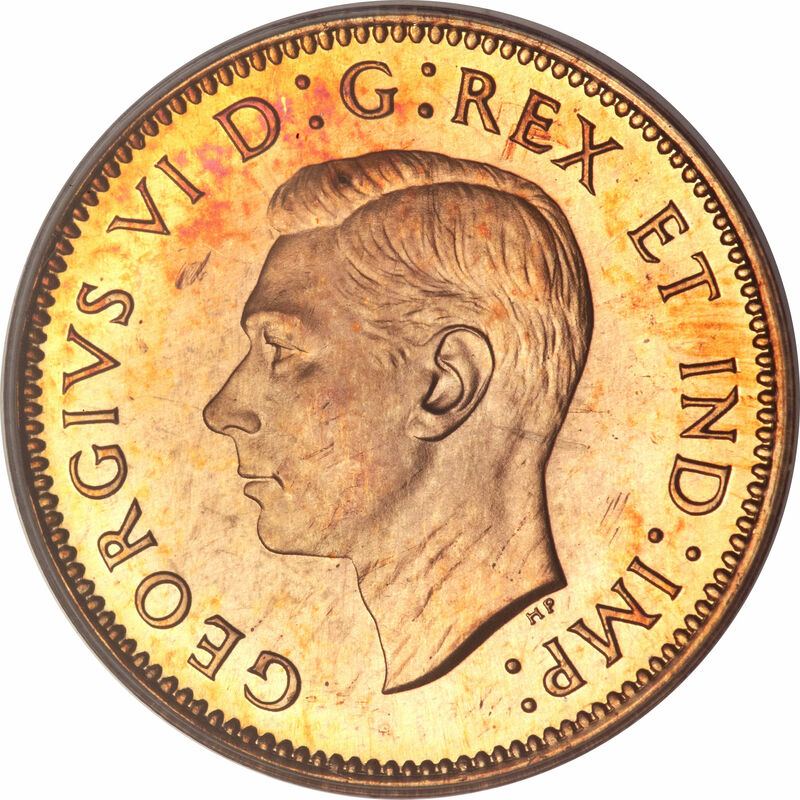 The Canadian Mint needed new dies for its pennies in 1948 due to the independence of India from Great Britain (it was necessary to remove the "ET IND: IMP"). 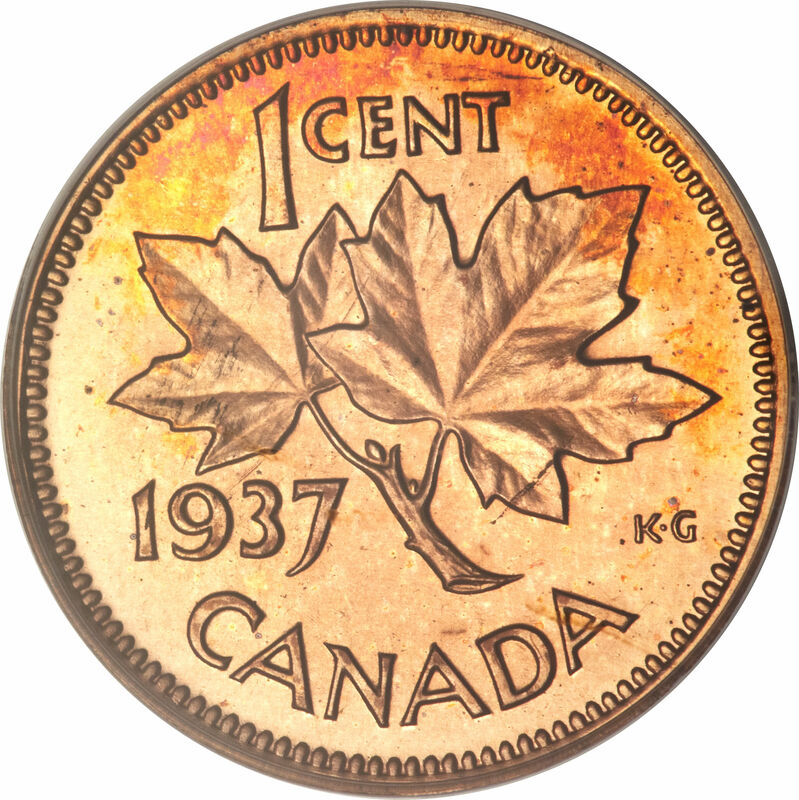 But these dies would not arrive early enough for the demand. 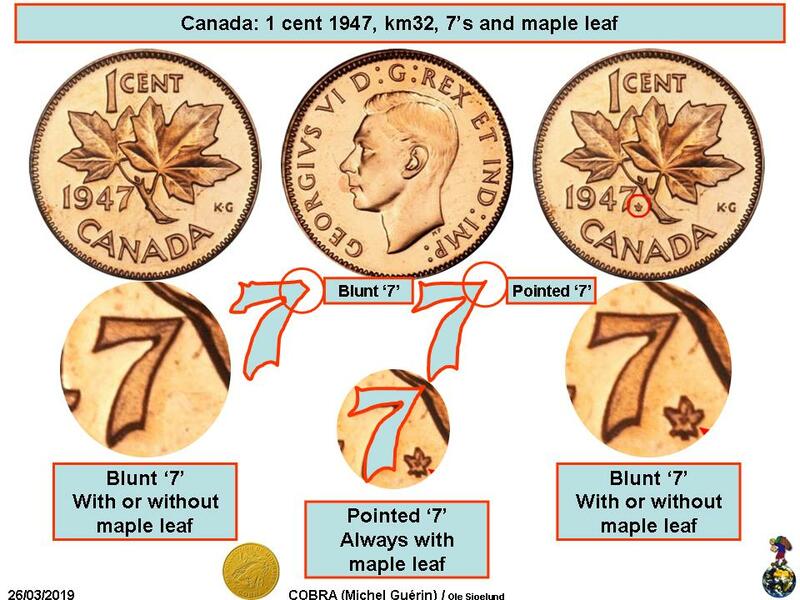 So the Mint added little maple leaves beside the '7' of the 1947, to signify the year 1948. 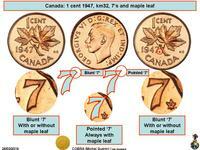 To determine if the seven is pointed or blunt, look at the top right section of that number.